Kuala Lumpur has a great transit system. The monorail is easy to navigate to make your way all over the city. Buses are set up to take you to the airport and taxis are a fair price for journeys around the city. As a budget backpacker, going to and coming from this city is easy on the wallet. It’s much cheaper to take the monorail/bus combination to get to the airport, rather than a shuttle bus or taxi. 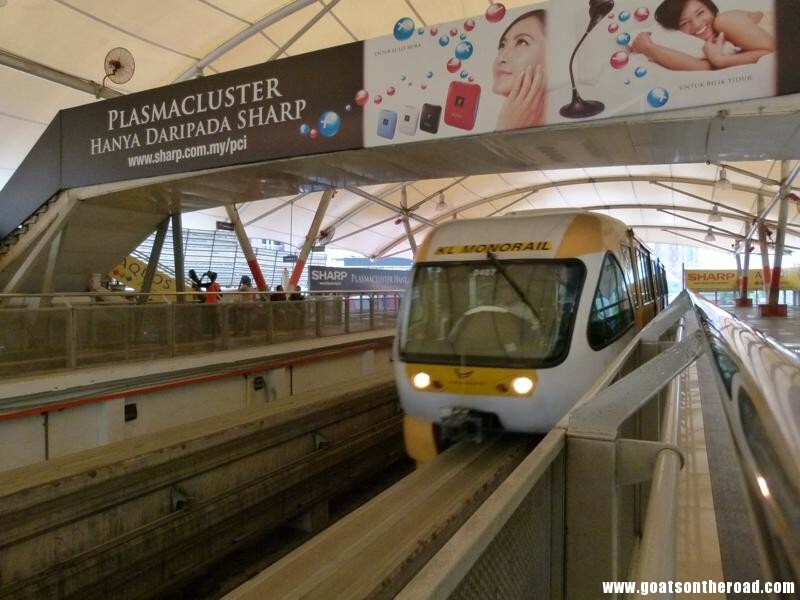 From downtown Kuala Lumpur, take the Monorail (LRT) to KL Sentral Station. As an example: From IMBI Station to KL Sentral, it takes 10 – 15 mins and costs a little over 1RM. Get off of the Monorail train and exit the terminal. When you reach the bottom of the stairs and the sidewalk, turn right and walk (one minute) up the sidewalk to the set of lights. Turn left and cross the street, follow the sidewalk, which will turn into a bus terminal / LRT station. Keep walking along the sidewalk until you see buses lined up. Take the Air Asia bus (9RM) or the Aerobus (8RM) – both take the same amount of time to get there. 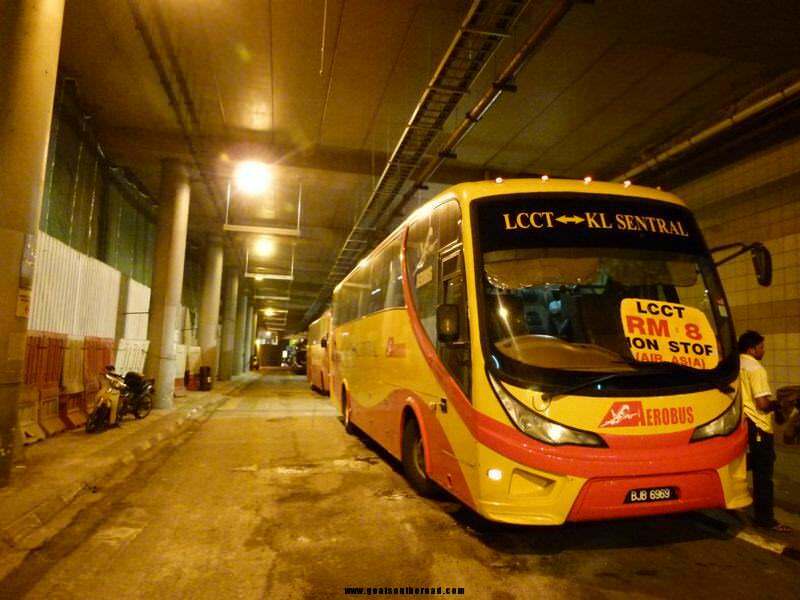 It takes one hour by bus to get from KL Sentral Station to the LCC Airport Terminal. 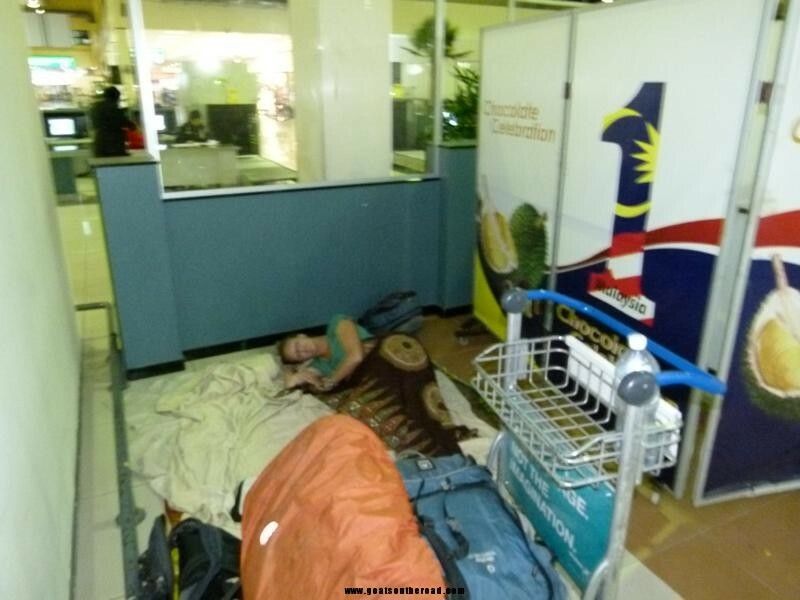 It is possible to sleep in the airport if you have an early flight. Many people do. Just pick a seat or a patch of floor and lay down. Before going through security, the restaurant options are: McDonald’s, Taste of Asia, Starbucks, Mary Browns Chicken, Dunkin’ Doughnuts, a fruit smoothie place and Old Town Coffee. After going through security, the options are limited to a little coffee shop with a couple of pre-packaged sandwiches and some fruit. There is, of course, a Duty Free Shop. 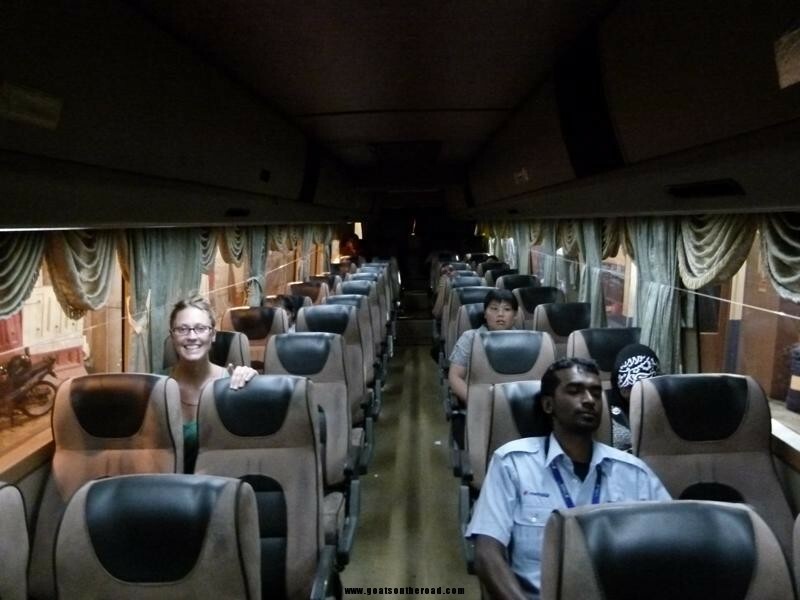 To get to Kuala Lumpur in Malaysia from Koh Phangan in Thailand, you will need to book a bus/boat combination ticket again. You can take a ferry boat from Koh Phangan to Surat Thani, then a minibus to Penang, then switch to a big bus to take you to Kuala Lumpur. The length of this journey is about 25 hours long and involves a lot of transport changing. However, as a budget backpacker, this is the best option. The cost of this very long travel day is 1600THB/person. Check out our video of that long travel day! It’s also possible to go to/from Bangkok by bus.